Opera News Review for Time and Distance | Mark Abel | Delos Music | Outstanding Classical Recordings for over 40 Years! 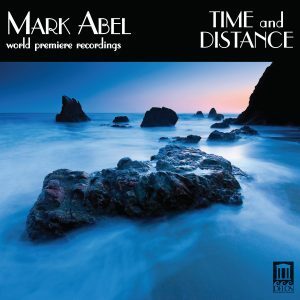 Opera News has an online exclusive review for Mark Abel‘s latest Delos release, Time and Distance! “During MARK ABEL’S varied career, he was a rock musician and songwriter, as well as a record producer, followed by years as a journalist for the San Francisco Chronicle. Subsequently, Abel returned to music, as a composer, and his style now is an eclectic mix of rock and classical elements. Time and Distance, the fourth release by Delos Records of his vocal music, consists of classical art songs—some of them standalone works, others complete song cycles. All are accompanied by piano, while some also include percussion or electric organ. The album feels unified; you could imagine its being performed in concert in its entirety. There are also many beautiful moments throughout the disc. The opening and closing songs, “The Invocation” and “The Benediction,” have much to offer, as do Those Who Loved Medusa. Abel varies the overall moods of the different songs, so they’re never too predictable.